In this post: Thanksgiving Napkin Rings Free Printable. 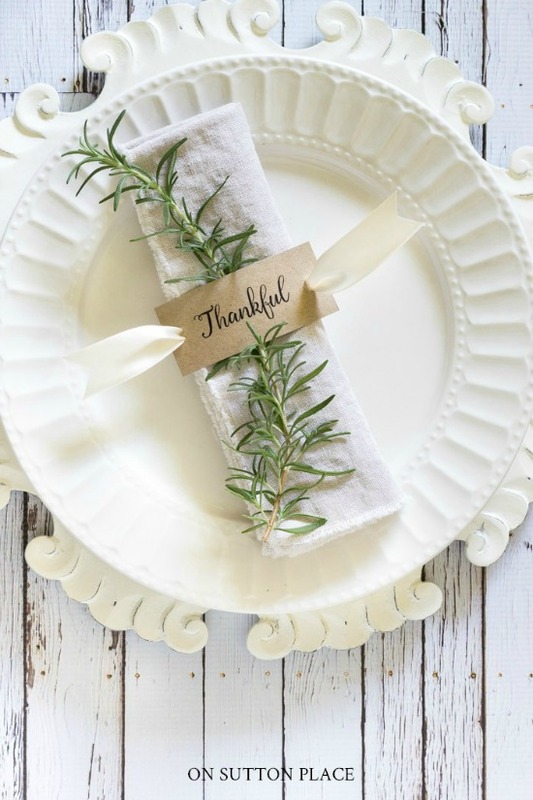 Make these easy DIY napkin rings for your family gatherings or Thanksgiving dinner! 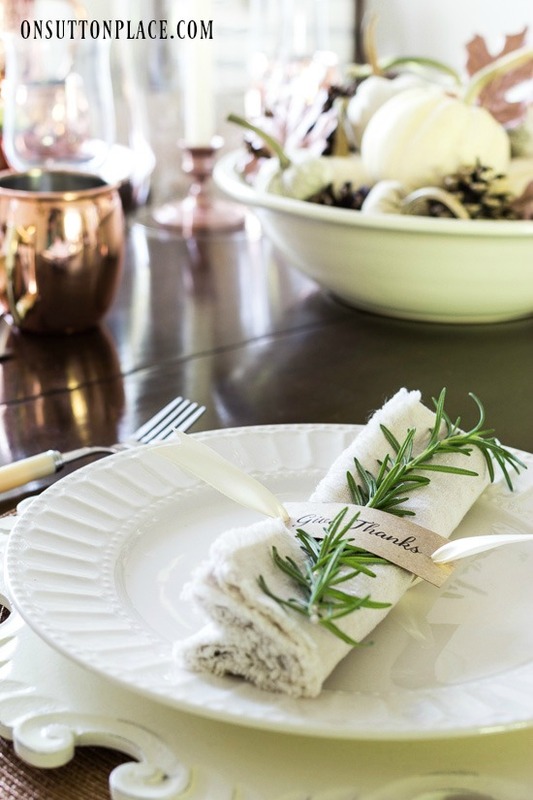 Today I’m here with a very fun project…and making these Thanksgiving napkin rings was so easy that anyone can do it. All you need are simple supplies and a printer. A few years ago, I did something similar with clay tags but I realize not everyone wants to go to that much trouble. This version qualifies for the big three: easy, fast and budget-friendly! First thing to do is print the template. Cut each rectangle out just inside the red line. Carefully punch holes on both short sides of the rectangles. Cut as many lengths of ribbon as you need napkin rings. Depending on how big your napkins are, about 10 to 12 inches should be a good length. That will give you plenty of room to snip the ends neatly. Lay a ribbon piece on a flat surface lengthwise. Place the folded or rolled napkin on the ribbon. Take a rectangle and carefully poke the ends of the ribbon up through the holes on each side. Pull the ribbon tight but do it very gently so you don’t tear through the hole. Snip the ends of the ribbon so they are equal length. Tuck a piece of fresh greenery behind the rectangle. You can definitely make these a few days in advance if you use rosemary or any sort of pine. I made them about a week ago and the rosemary has dried a bit but still looks lovely. 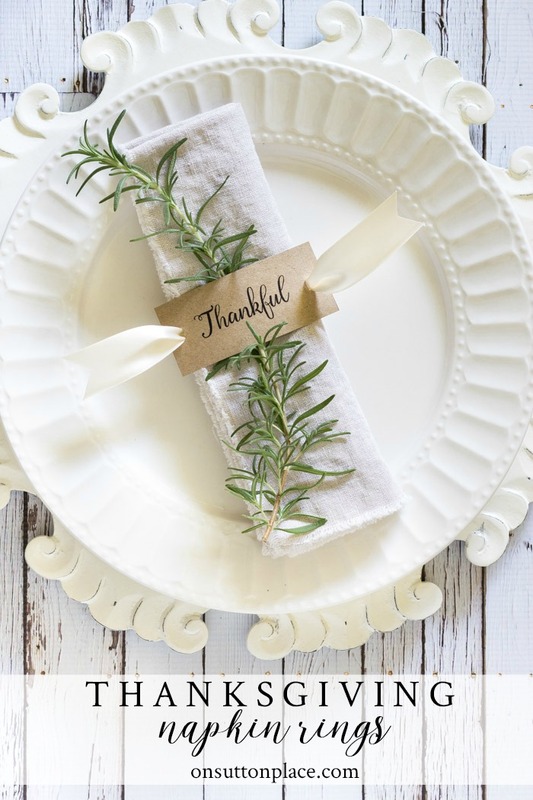 Click to see the rest of this tablescape! I came across your website while I was looking for ideas for my Thanksgiving table. 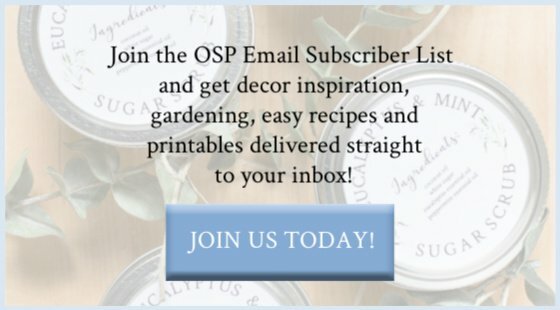 I know have a favorite “go to” when looking for entertaining ideas! Oops! Mistake in spelling! Meant to type now! Printing mine now on a maize cardstock :D Can’t wait to use them. Thanks so much!! Have a blessed Thanksgiving Day. I am looking for a way to make a unique place card- I am going to use this idea! I LOVE these Ann!! I’m sharing on my FB page later today. 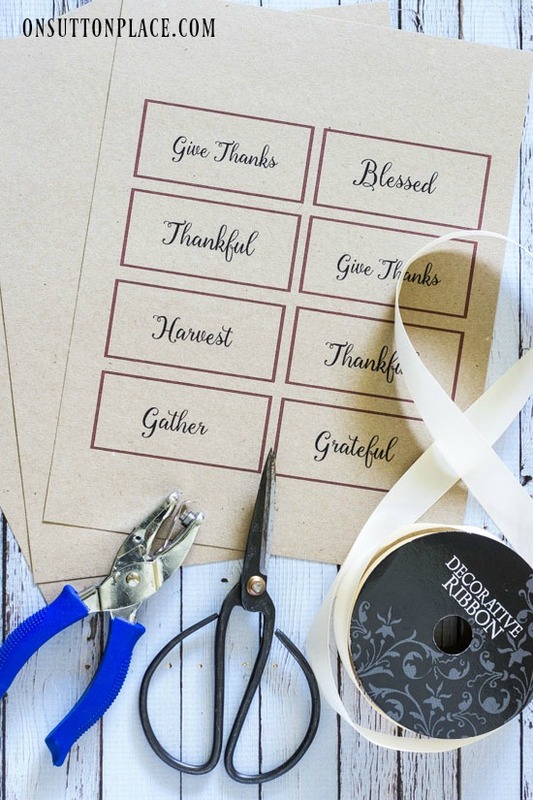 I am having trouble downloading the Thanksgiving printable. Hi Judy…I sent you an email! I LOVE the white wooden chargers. Please share where you got them! Loving the blog. Thank so much, always look forward to it! I love those napkin rings ! Simple enough I think I will actually have time to do these ! Thanks Ann. The plates are from Walmart and I got them a few years ago. They are no longer available but here is something very similar and for a great price! Thank you,I love these.With lots going on at the holidays theses are fast little piece of love. What a great idea! And it can be adapted for any holiday…just change the greeting and ribbon color. I like this unique idea very, very much! While I’ve always enjoyed using my many various napkin holders over the years, once the napkin is removed, I haven’t liked the look of them sitting “empty” throughout a meal and just looking kind of odd, cluttering up the table. Am I the only “nutcase” that feels that way? lol! What do you usually do with the empty holders, Ann; just leave them on the table or remove them? I see this idea STILL looking pretty laying on the Thanksgiving table! Thank you! Absolutely love these napkin rings! Ok Ann, so where do you store all those beautiful dishes, flatware, serving pieces, etc, etc.? And do you use them all or are they mainly for show? I feel like it is time for me to remove most of my extras from my home. The children are grown, little entertaining after moving eight years ago, and just too much stuff. Any thoughts? I store the plates right in my kitchen cupboard and I use them all the time. I have a dresser in one of my guest rooms where I store the placemats and chargers. The copper is relatively new but it will go in the kitchen too. When I get something new, I usually donate something I no longer want/use. That way I don’t get too much clutter. The flatware I store in pitchers on my kitchen counter and it gets used all the time. If you aren’t using something, definitely donate it or even sell it. Don’t keep things you don’t love or need. They just weigh you down. Hope this helps! Thank you for the wonderful idea for napkin rings, Ann! I’m just curious, is that Maybelle Imasa-Stukuls’s calligraphy? It looks just like her project “Clip Art Craft~Message Cards” in Martha Stewart Living back in, I think, the early 2000’s. I fell in love with her style of calligraphy when I saw that project, & have followed her career ever since. I just recently found your blog & this is one of the first posts in my inbox. I’m very excited about seeing all of your creative ideas, especially with the winter holidays coming up! No the text on the napkin holders is a digital font called Florabella that I purchased along with the license to use it on my blog. I honestly have never heard of the person you referred to. I’m happy you are following along…welcome to On Sutton Place! Ann, these are absolutely perfect! Exactly what I have been looking for! You always amaze me with your beautiful projects and your generosity in sharing the printables. I look forward to making these and know they will be the perfect touch on my Thanksgiving table. Simplicity at it’s finest! This is going to be prefect for my Thanksgiving table! Ann, you are my hero!!!! I love your sweet,clever ideas that are so uncomplicated yet provide a big impact in decorating! This one rocks! Ann, I adore these!! Just found out that my Thanksgiving dinner im hosting went from 10 to 24 so I’m loving this idea! Thanks for sharing! Xoxo..
Oh my gosh 24?? I know you will make the day wonderful but I’m honestly glad it’s you and not me! The napkin rings are so cute! I love the post on crushing on copper I saw a tray that I totally love. Thank you Pamela…and thank you for hopping over to visit me on eBay. I appreciate it so much! What a simple, sweet idea, Ann~Thanks for the printable!!! Just simple,elegant and so lovely. Please create this napkin ring for Christmas and New Years! Very clever. Can’t wait to see what you come up with. Great idea Mary…I will put a Christmas version on my to-do list! Beautiful and so easy too! Thank you, Ann, for sharing your ideas with everyone. I always look forward to your emails. You get right to the point, show a great deal of humility and grace in all your posts. Thank you for being there for us…. Simple and beautiful. Ann, sometimes I think that you don’t realize how much we appreciate what you do. Your blog is lovely! THANK YOU FOR WHAT YOU DO! I love them. Easy and tasteful. Thank you Ann for the finishing touch for my Thanksgiving dinner. You make such lovely things and we, your followers, are so blessed that you share these lovely things with us. Bountiful blessings for you and your family during your Thanksgiving festivities. The napkin rings are adorable!!! I really do like your fun idea. In addition, I love your chargers. They are unusual and I like that!!! Beautiful table!! Have a great week!!! During one of my stints as a waitress (back in the 70’s!) I learned how to fold napkins so they sit up in a little triangle shape. 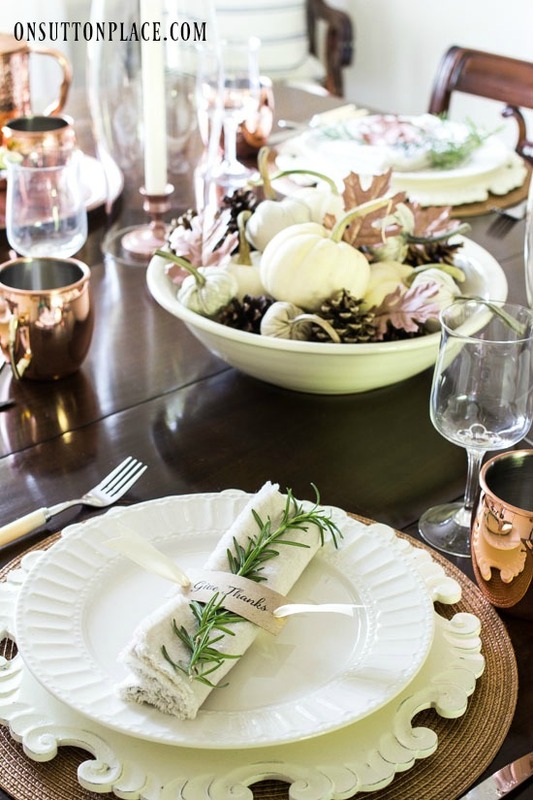 I have folded my very pretty rust — actually copper-colored — napkins every Thanksgiving for years….but this is a wonderful idea, and I am going print out template and make these! Thank you for this beautiful and simple project! Love the napkin rings. I am going to print them out, cut them with paper cutter and give them to my tween granddaughters along with an assortment of fall colored ribbons to put together while dinner is cooking. Another great idea…wishing you a lovely Thanksgiving Day. Enjoy your family! I am sharing this and your site with my garden group. Oh how cute! Love this idea, will be using it for sure. Thanks for sharing.